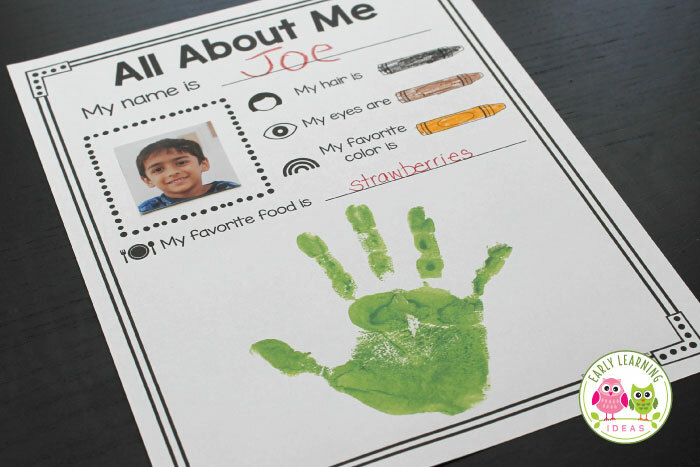 Are you looking for activities for your All About Me preschool theme? 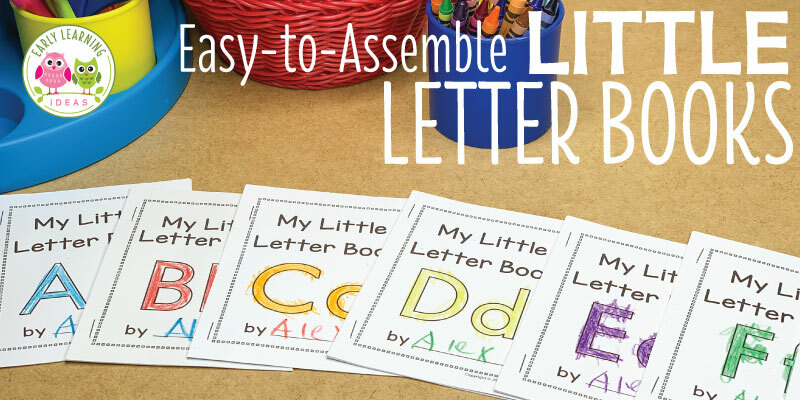 Here is a simple one page printable that is perfect for little learners. I have seen all kinds of All About Me activities on Pinterest. Many are cute, but unfortunately, they aren’t all appropriate for young kiddos. 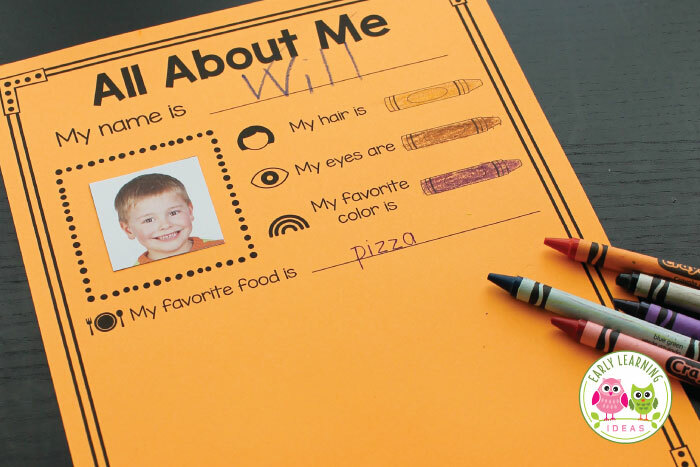 Here is a simple All About Me activity page that is perfect for kids in preschool, pre-k, and kindergarten. 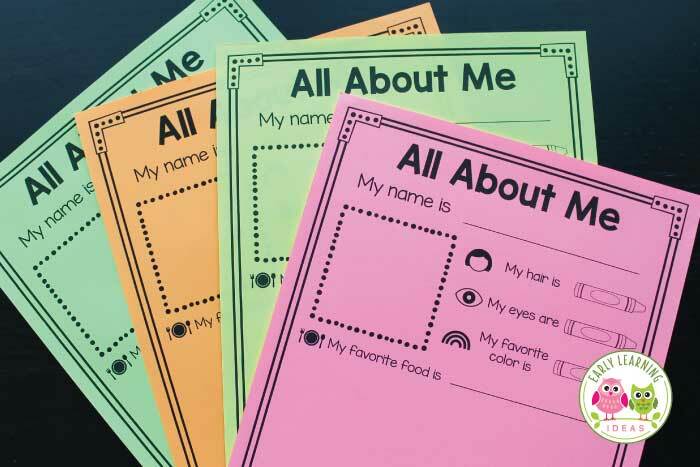 It is part of my All About Me Activities Bundle in my TPT store, but you can get this page free below. The activity page lets your kids share a few important things about themselves without overwhelming them. The page is filled with images to help emergent readers understand the text. Plus, you can easily adapt this activity for kids at many different levels of learning. There is a small square, dotted frame on the page. Add a picture of a child in each square, or children can use the square to draw a self portrait. 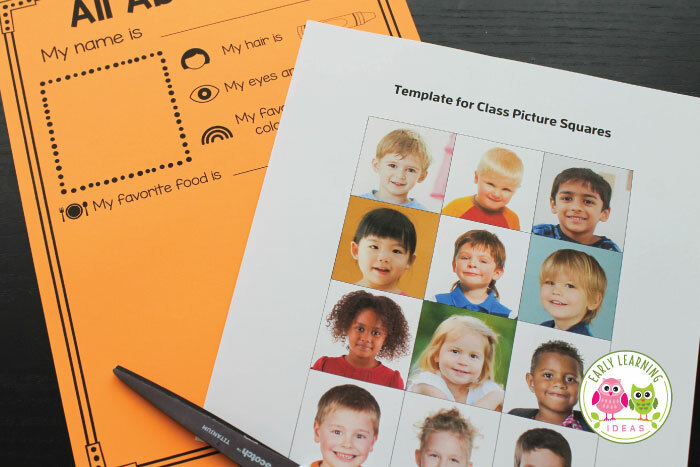 If you want to put a square picture of your kiddos in the square, use the photo sizing template and directions found in my name cards article to make the task easier. Gather a few mirrors for this activity. Kids will enjoy looking at themselves while working on the activity page. Be sure to have plenty of crayons, markers, or colored pencils that represent the eye and hair color of all of your kids. Name – If children are able, they can write there name on the line. Can’t write their names yet? You can write their names with a highlighter and ask them to trace the names, or you can just write the names for the kids. Hair Color – Kids can color the crayon image with crayons, markers, or colored pencils to indicate the color of their hair. Eye Color – After examining the color of their eyes in a mirror, kids can color the crayon image to indicate their eye color. Kids can draw a picture of themselves, their favorite food, a store about themselves, a picture of their family, their favorite activity…..
Use this space for hand prints or fingerprints. Hi Jocelynn, I’m not sure where you saw an All About Us cover. I don’t think that I have one. Perhaps you were thinking about the All About Our Families cover. I love the All About Me. I’m making a class book this week. I need a cover that says “All About Us.” I think I saw it on your page.But is there a way that I can download it so I could print it for my cover? Hi Nancy, Thanks for the suggestion. Download the document again to find the update. This is perfect for the beginning of the year and will make a fantastic bulletin board for ‘Meet the Teacher Night’. At our school we don’t have the opportunity to meet the children and parents before school starts. The parents come in to meet us after about three weeks. Being from Canada, I wondered if it would be possible to get a copy of this activity with the Canadian spellings (favorite = favourite, color = colour)? Thanks again – love this! What a simple but informative piece to learn about themselves. Thank you. Just found your website and is just fabulous. I will be using the All About Me ideas when we celebrate HARMONY DAY in March. It will be great to display in the room and then add to the Kinder Portfolios.